The White Sox drafted RHP Jimmy Lambert out of Fresno State University in the 5th round of the 2016 draft and signed him to an under-slot deal. 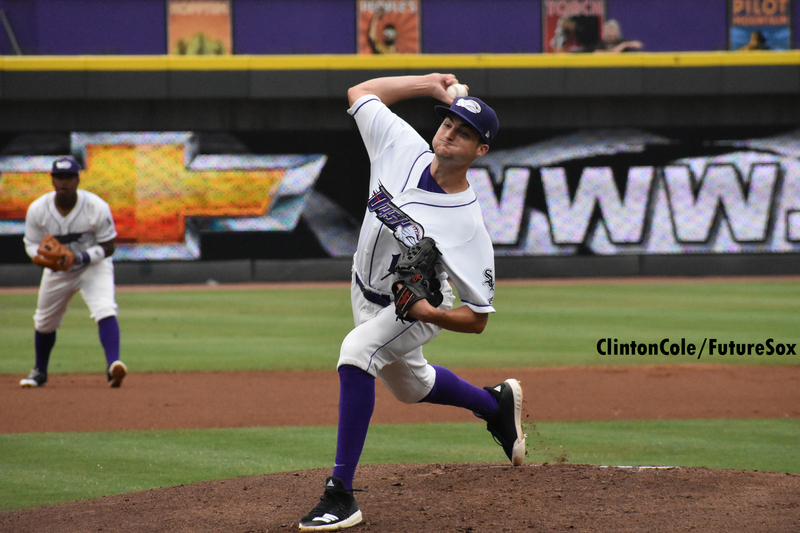 After a largely unsuccessful 2016 pro debut (5.26 ERA), Lambert posted a 3.84 ERA in 2017 between Kannapolis and Winston-Salem, but didn't miss enough bats (9.8 H/9 and 6.1 K/9) to warrant much serious prospect consideration. That all changed during the 2018 season as Lambert bulked up in the off-season and completely overhauled his arsenal that saw immediate dividends. Lambert's strikeout totals skyrocketed from 6.1 to 10.3 K/9, hits decreased from 9.8 to 7.2 H/9, all while maintaining his walk rate (2.4 to 2.5 BB/9). He was challenged by the White Sox with a June promotion to Birmingham and his numbers improved across the board, culminating in a dominant 10-strikeout performance on July 14th where he carried a no-hitter into the 7th inning. In those 5 starts at AA he posted a 2.88 ERA, 2.2 BB/9 and 10.8 K/9 before being shut down with some arm soreness that resulted in him shutting down a little early to protect that arm. When Lambert started his professional career, he was a sinker-ball pitcher, working a 88-91 MPH two-seamer with fringe secondary stuff. In Spring Training of 2018, he received some analytic data from the White Sox that inspired him to replace his two-seam fastball with a four-seamer, and start throwing his curveball more often than his slider. These drastic changes, accompanied by an improved developing change-up, elevated Lambert from a middling prospect to a spot on FutureSox's top 30. The shut-down late in 2018, we are told, was the result of some soreness that is not a long-term concern. But it is probably something to keep an eye on anyway, given he was still well short of his 2017 load.